Add to the Wishlist all products you are interested in. (>96 PRI/98 TLCI) and a full hue and saturation gamut. The versatile Image L40 has proven ideal for grid installations with variable beam pitch control to ensure an even flow of illumination from the top of a set wall (as high as 20 feet/7 meters) all the way out to stage forward. The beam spread from downfacing fixtures can produce a wide soft base in studio spaces too small for traditional spacelight designs. 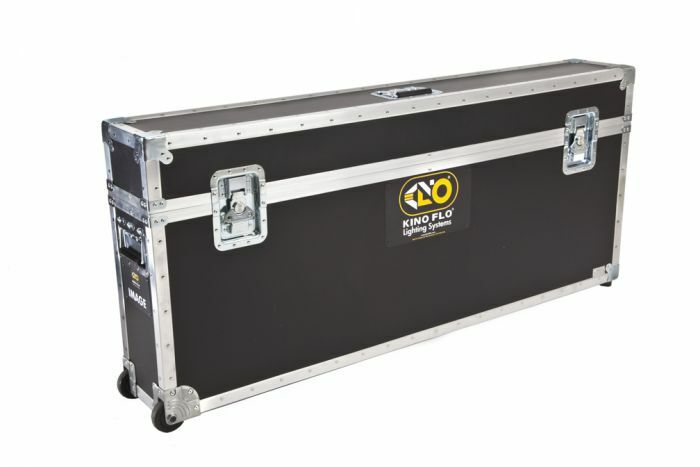 The Image L40 comes with manual and remote DMX wireless control of the mired shift, color selection, dimming and visual effects features unique to Kino Flo lighting products. Its photometric and control specifications are available for free download to pre-visual studio design programs and lighting console profiles. 50 = ½ correction and 100 = full correction. 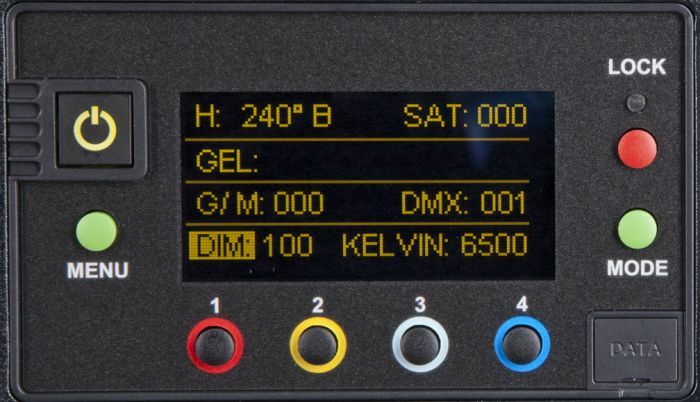 In the Gels/Hue menu, the Kelvin range is extended to 2500K Kelvin to 9900K daylight and a fourth channel is called Gel. the gel will be applied or removed. A fifth channel called Hue Angle (Hue) and sixth channel Saturation (Sat) are also included in the gel menu. These two channels behave similar to a traditional color wheel, where white light is in the center and Hue Angle determines the color along a 360-degree range and Saturation determines how much color is applied. With the Hue Angle and Saturation it is possible to create over 2 million color combinations! predetermined RGB presets or color wheels. 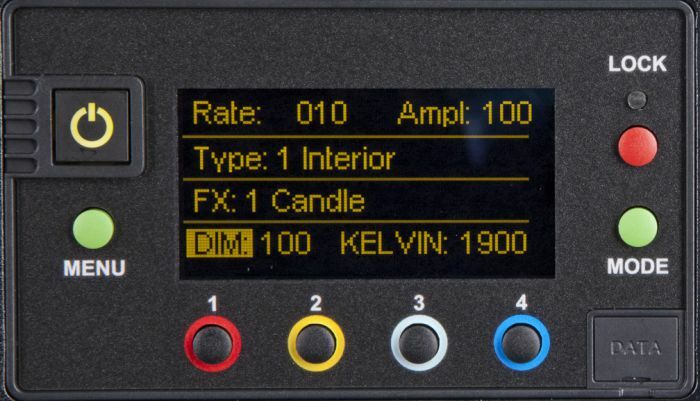 RGB menu is also a great feature to dial in specific gel RGB values or when controlling colors from a DMX desk. Rate to provide additional variation. 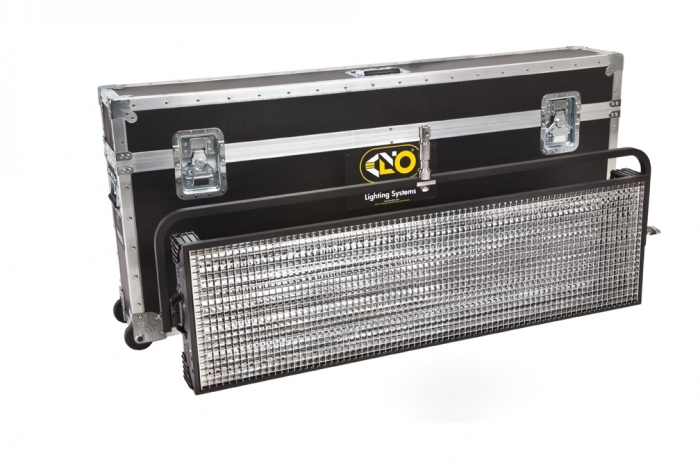 Kino Flo’s Celeb® 250, 450, 450Q with new upgraded electronics, join the Kino Flo family line of LED’s with an expanded Kelvin color temperature range from 2500K to 9900K, and full Green/Magenta, Gel, Hue/Saturation and RGB color control features.